A Simple, Straightforward Casino Game? You might hate to admit it, but you're either too busy or too lazy to learn all the rules for some casino games. You just want something you can pick up easily and start playing. That would be baccarat. So, how to win baccarat? There are other simple casino games besides baccarat, but their house edges are also higher. If you're new to the gambling scene, baccarat is definitely a good way to get started. Now, to begin a game of baccarat, bet on an outcome: Tie, Banker or Player. Next, a hand is dealt to the banker and another to the player. Whichever hand is closest to 9 will win the game, although, in some cases, a third card will be dealt. We'll get back to that later. Zero points are given for face cards (K, Q and J), along with 10's. The aces are all worth a single point. Every other card is its face value. Totals over 10 will have 10 subtracted from them, so, if you got an 8 and a 4, your hand's value would be 2, not 12. There is no decision-making for the player, as drawing a third card is subject to predefined rules, and three cards is the maximum drawn for one hand. The banker and player having the same value denotes a tied hand, of course. In the case where they have different values, third card rules need to be examined. An initial hand total of 9 or 8 is called a natural. Whether the banker or player draws the natural, the hand is over afterward. After the player, the banker gets a chance to finalize his/her hand. A hand value of 0-2 means a third card is drawn. A value of 7 means a stand, and values in the 3-6 range depend on what the player's totals are. For a 3, the banker may only draw if the player's total was 1 through 7 or 9. For a 4, player values of 2 through 7 allow a draw. For a 5, player values from 4 to 7 allow him/her to draw a third card. 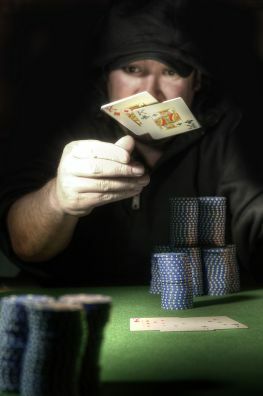 With a banker total of 6, the player has to have a total of 6 or 7 for the banker to get a third card. All values from 7 through 9 mean that the banker must stand, as stated above. Bets placed on the banker translate into getting a 1:1 payout, but you have to pay a commission, which is usually about 5%. Winning a bet on the player brings a 1:1 payout with no commissions. Winning a bet on tying earns you an 8:1 payout. It is very attactive one, it seems that it is easier to win this than 35/1 according to some roulette strategy. Everything about baccarat is pretty simple to understand, and it's a great place for beginning gamblers to start.